Transform your rooftop into a beautiful space and relax in the breeze shaded with a pergola or awning. 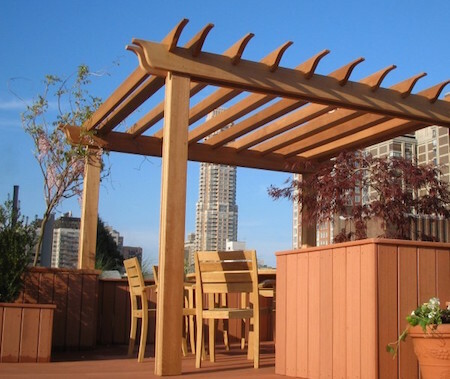 Shade structures like pergolas, arbors, and awnings help to get the most out of your outdoor patio and roof deck in NYC. A combination of open lattice and covered pergola enables you to use the space rain or shine.